Bringing the awesome All City 7x7 series to a close, the hugely talented Swiss beatnut Dimlite provides an odd squeeze of tipsy hiphop on 'Quiz Tears'. 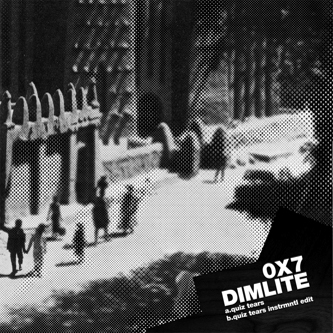 Dimlite's remixes of Carlos Niño and Flying Lotus released earlier this year rank among the best contributions to the whole wonky hiphop ouevre, merging highly complex beat structures with crisp electronic funKtions to set him apart from he rest of the crowd. 'Quiz Tears' puts that considered complexity to good use on a reeling electro oddity sounding like Raymond Scott tangled up with Rustie on some heavy downers, feeling like the riddim is about to give up and crumple into a deep kip at any moment. The screwy Quasimoto-on-crack vocals only serve to up the weirdness quotient to worrying levels meaning we can't get enough of it. It's a fine finish to a great series. Killer!